This is Love. An adorable photo of Bridget Regan and Craig Horner who star together in the Legend of the Seeker. 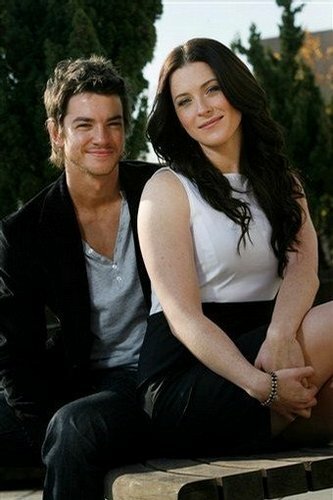 Wallpaper and background images in the Bridget Regan club tagged: bridget regan kahlan seeker actress confessor pretty love craig horner. omg! they are soo cute together you can almost see the sparks between them so cute! !